Some warbird restorers will tell you that this is all you need to rebuild and fly an old aeroplane. It is commonly known as a Data Plate. One of these is attached to every airframe when it is built, thereby conferring an identity on that airframe in the form of a Manufacturer's Serial Number. When the Qantas Foundation Memorial team of engineers set out to restore the former VH-EBA to airworthiness, they were fortunate - the aeroplane was complete in every respect - except for the data plate! 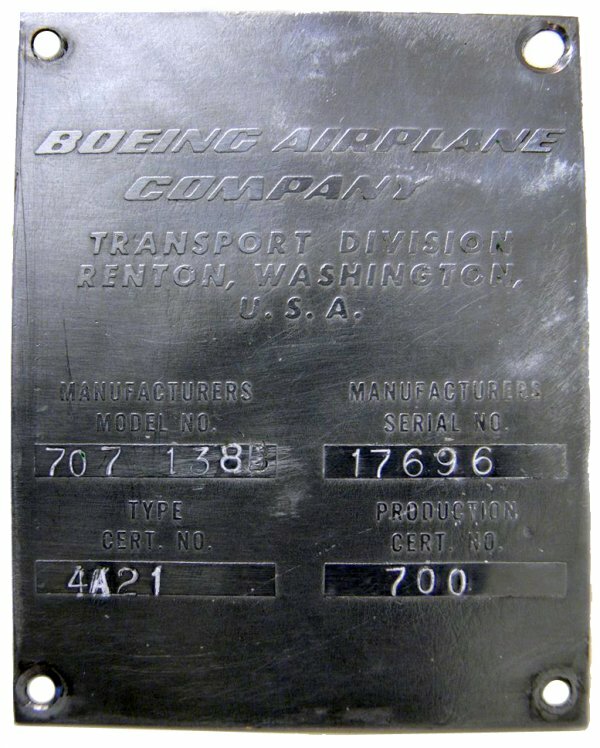 When it was decided by her former owners that her flying days were over, the data plate was removed from the airframe and returned to Boeing who safely filed it away in their archives. 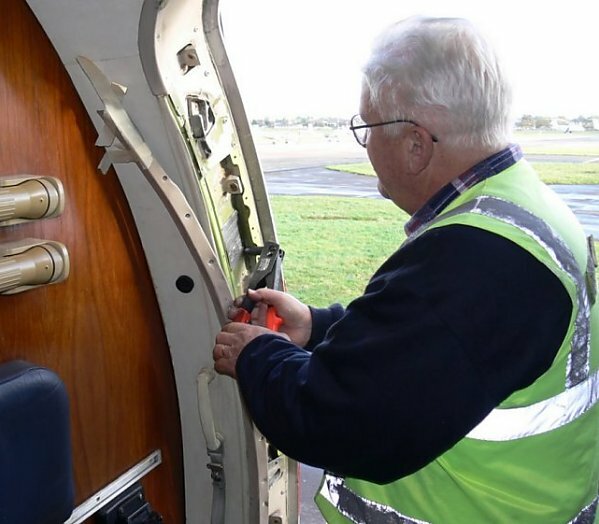 Not many aeroplanes survive the removal of their data plate, for it is the aviation equivalent of removing life support. 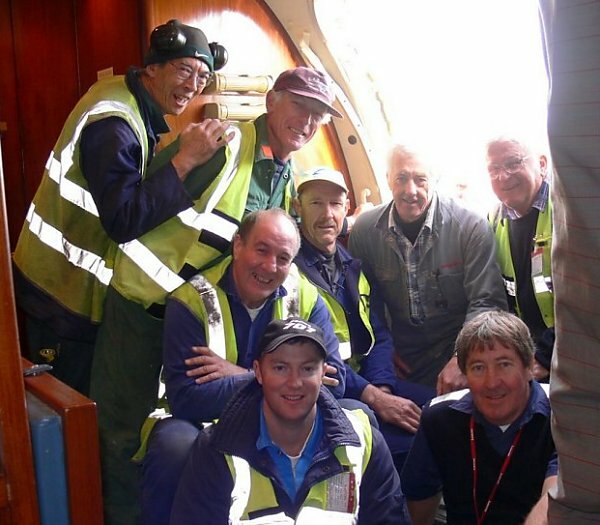 When it emerged that a dedicated group of retired Qantas engineers were determined to restore life support along with unlimited doses of tender loving care, Boeing conferred their blessing by returning the data plate. It was a close run thing. Not only are the QFM engineers skilled 707 Whisperers, but they also have a well developed sense of occasion and of putting things right. On 26 November 2006, VH-EBA was made complete again. The original stainless steel manufacturer's data plate was ceremoniously attached to the aeroplane's primary structure, with Denis Martin, Paul Wilkinson, Bob Horn and finally, Peter Elliott in turn riveting one corner each. Just one week later, VH-EBA flew again for the first time in six years, albeit under the nom de plume of VH-XBA, but everyone, including the aeroplane herself, knew exactly who she really was.